HELP ARCHITECTS. | DESIGNERS. | MANUFACTURERS. | BUSINESSES. | YOU. At Verso Agency we understand that a project is only as good as its product specifications. We are committed to working hand-in-hand with architects, designers, manufacturers, and businesses to ensure each receives representation that mirrors their brand goals. We’re here to grow your brand, provide access to products, and to furnish the solutions your firm needs. Our mission at Verso Agency is to provide a representative solution connecting people, products, and projects. From design development to occupancy and beyond, our full-circle approach is dedicated to satisfying the end-user. We’re here to grow your brand, provide access to products & to furnish value-added solutions. To ensure the best solutions are incorporated into projects to create a return on investment and a return on design. Quality products deserve a strong representation. Our relationships are paired with both the product & the product experience, adding value to your brand. From boutique esque design to a national chain, we are here to provide solutions to your needs. We currently represent two companies directly. 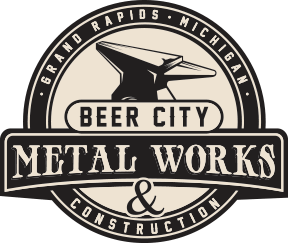 Beer City Metal Works and Advantage Millwork who both manufacture high-quality custom product solutions for the construction industry.